The intensive development of agriculture in the 1870s and 1880s promoted an increased interest in agronomy and agricultural science in general in the Russian Empire. In the sphere of plant production, this interest pursued purely practical objectives related to describing, preserving and utilizing populations and races of local cultivars. When studying the flora and plant life, botanists fixed their attention almost exclusively on wild species, while the majority of cultivated plants were not studied. The works of Koernike, Seringe, Alefeld and others laid the basis of the taxonomy of cultivated plants. These works were important for use in agriculture and practical plant breeding. Professor A.F. Batalin, who was the first to study cultivated plants in Russia, encountered materials of immense richness and repeatedly stressed the necessity of setting up a special laboratory for applied botany that would concentrate on the comprehensive study of the Russian cultivated flora. This idea was supported by other researchers, for instance, by Professor A.S. Famintsin and Professor I.P. Borodin. To carry out these tasks a Bureau of Applied Botany was organized in 1894 under the Scientific Committee of the Ministry of Land Cultivation and State Property. In compliance with its Regulations, the Bureau comprised three departments: Information, Scientific and Acclimatization. These departments were responsible for determining the taxonomy of both cultivated and wild plant species. They supplied information on the sources where those species were available, and studied both cultivated and wild plant species regarding their botany, agronomy and phytopathology. They also promoted the introduction of various plant species and varieties into cultivation. Professor Alexander F. Batalin was the first director of the Bureau of Applied Botany and its only staff member He was an outstanding botanist and crop taxonomist, and the founder of applied botany in Russia. At the same time, he acted as director of the Imperial Botanical Gardens in St. Petersburg. However, when he was director of the Seed Testing Station of the St. Petersburg Imperial Botanical Gardens, Batalin on his own initiative had already started collecting and researching varietal diversity of rye, spelt, millet, rice, buckwheat, legumes, common onion, oil-bearing Cruciferae and other crops. This research formed a basis for further activities of the Bureau. Because of the vast amount of work, he was unable to pay due attention to the Bureau's activities. Additional funds were allocated to maintain the Bureau's work, which was often fragmentary. In the first years of its existence, the Bureau of Applied Botany acted as an information service responding to requests concerning the crops cultivated in Russia. It could hardly be regarded as a scientific institution. The Bureau mostly concentrated on reviewing various books, proposals and projects which were submitted to the Scientific Committee of the Ministry of Land Cultivation. After Batalin's death in 1899 Professor Ivan P. Borodin, a Russian botanist and a member of the Scientific Committee, became director of the Bureau of Applied Botany. At the same time, he was also professor at the Institute of Forestry, a full member of the Academy of Sciences, director of the Botanical Museum, and editor of the Proceedings of the Naturalists' Society. Thus, the many responsibilities of Borodin, in combination with a shortage of funding, as well as absence of premises and equipment inhibited the development of the Bureau's activities in this period. 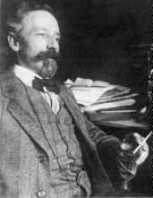 In order to improve the Bureau's work and to stimulate the Scientific and Acclimatization Departments, at the end of 1900 Borodin invited Robert E. Regel to become a member of the Scientific Committee. Before 1900 Regel had many contacts concerning training with western botanists, such as Engler and Asherson at the Higher School of Horticulture in Potsdam. Regel read lectures on the application of botany to horticulture in St. Petersburg University and he was a researcher at the St. Petersburg Imperial Botanical Gardens. From 1901, practically all the work of the Bureau lay upon Regel's shoulders. Despite very scanty funds allotted to the Bureau at that time and a lot of routine work that distracted Regel from his major responsibilities, he nevertheless managed to collect and study Russian barleys. To acquire seeds, between 1901 and 1904, letters were dispatched to all Russian provinces. These letters contained a request to collect and forward seeds and ears of local barley varieties. As a result, in these years over 990 barley samples were collected from all regions of Russia. The most interesting samples were received from the Northern Caucasus and Transcaucasus. The richest diversity was found in areas adjacent to modern Iran and from Armenia. In addition to Russian barleys, the first foreign accessions were obtained at that time. For example, at the Bureau's request V. Sounders from the Central Experiment Station in Ottawa sent a collection, while the "Atterberg's collection", rich in diverse barley forms, was acquired from Sweden. All accessions were described taxonomically according to Koernike, and studied for their morphology and the nature of the grain.